John Rogers Elementary is located in the Meadowbrook neighborhood of Northeast Seattle and has been serving Seattle’s children since 1956. 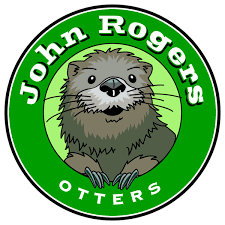 The John Rogers Community is comprised of approximately 350 amazing students, involved and engaged parents, dedicated teachers and instructional staff and a supportive administration and office staff. We all work together to provide students with a strong academic base through highly skilled instruction and individualized support. We offer opportunities for students to reach personal goals through differentiated learning opportunities and model the importance of giving back to the community through involvement in public stewardship. As you get to know the John Rogers Community, you will find us to be friendly, skilled, collaborative, personable and always willing to do what is needed to support our students and community. Our John Rogers’ Vision, EVERY student and family seen, engaged, challenged and growing, is demonstrated every day through our devoted and dedicated staff who are passionate about helping all students succeed. Our high caliber staff works diligently to differentiate instruction and curriculum to meet the needs of all of our students. John Rogers provides rigorous and relevant academic programs. Our students are challenged by our use of a comprehensive literacy program that includes, for example, shared reading and writing, guided reading, independent reading, and phonics instruction. In addition to our comprehensive literacy program, we use Math in Focus as our main math curriculum and inquiry-based science. All of our curricula and instruction focuses on the Common Core Standards. For more information on the Common Core Standards please visit the website, http://www.corestandards.org. Technology is integrated into the curriculum to enrich student learning. Computers are used throughout the school for various curricular needs. Each classroom includes 4-6 student workstations. In addition, we have 4 laptop carts that are shared amongst our grade levels and have access to our school Wi-Fi. Our library has 15 student workstations, which are used to support student research and learning. A variety of John Rogers After School Enrichment Classes, which are run by Meadowbrook Community Center. These programs may include for example: Computer Science (Scratch), Trendy Crafts, Drama, Messy Science, Circus Arts, Comic Books, and Flag Football. John Rogers’ parents and families give tremendous support to the school in a variety of ways. Volunteer and financial contributions support enrichment opportunities including field trips, classroom programs, art materials, playground and classroom supplies, and artist in residences. Our amazing parents also organize and host school-wide functions including our Art Walk, Auction, Field Day and more. Volunteers devote countless hours to the school. They help staff with science extensions and environmental education through 5th grade outdoor school, the Audubon Finding Urban Nature (FUN) program, and National Science Foundation classroom kits. In addition, they support our art docent program. A partnership with Meadowbrook Community Center enables our school to offer swim lessons for all students at Meadowbrook Pool. We always welcome your questions. If you would like to learn more about our amazing school please contact our office at (206) 252-4320. Our office staff will gladly assist you with any questions you may have.